Ever since their 4th album “0 [lˈʌv]” and 5th album “HUMANITY”, they have slowly but surely, expanded their fan base. 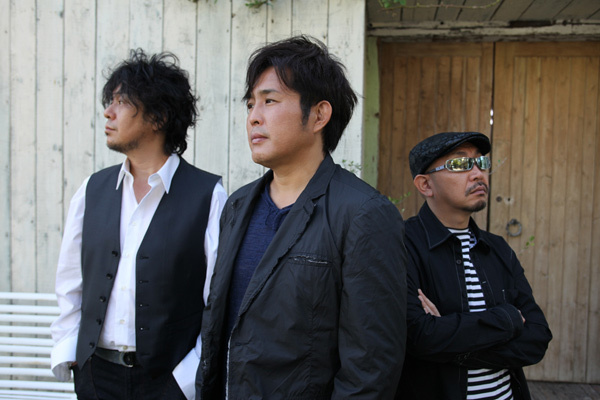 Although their 6th release, “ENCOUNTER” and their 7th release “TOGETHERNESS” lacked the presence of a hit single, both albums placed first on the “Oricon Chart” on their first week. They have performed at the Budokan 3 times. They have done a concert featuring a strings section, which was recorded and released as a DVD. As of now, their 12 studio albums, greatest hits album, and compilation albums have accumulated a sales of over 3.5 million copies in total. The members often take up solo projects. Chikuzen Sato has released 3 original solo albums, 4 cover albums, and is active as a member of Salt & Sugar. Furthermore, he has done back chorus for Tatsuro Yamashita and Kazumasa Oda, and sang for the CM song for Coca-Cola. Chiaki Fujita has been involved in game music such as “Summon Night”, and Tomohiko Nishimura has been supporting Yoshihiro Kai. The production for the albums between “III” and “ENCOUNTER” were done by Rod Antoon, and Cat Gray was the producer for the albums between “togetherness” and “Welcome To Another World”. They ambitiously incorporate musical essences of various musical genres such as soul, funk, jazz, Latin, and fusion, and solidify their backing musicians by inviting renowned studio musicians from around the globe. Just like TOTO or STEELY DAN, their musical base is in rock, blues, R&B and POPS. They are also often considered to be a big name of Japanese AOR; however, because their concept of AOR extends to the music of the likes of The Beatles, The Rolling Stones, Led Zeppelin, Frank Sinatra, and BB King, they are not supportive of the idea of being classified under the commonly used notion of AOR.